This entry was posted on Monday, April 15th, 2019 at 13:25 and is filed under News. You can follow any responses to this entry through the RSS 2.0 feed. You can skip to the end and leave a response. Pinging is currently not allowed. 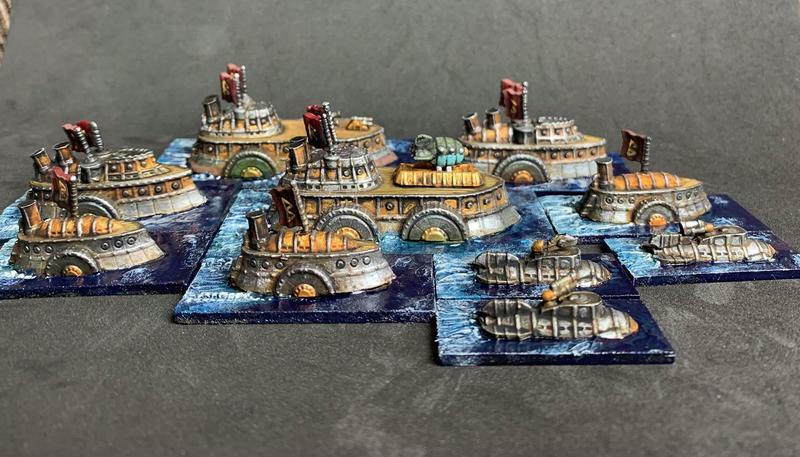 Fantastic, love the whole ‘iron fleet’ feel you’ve got in these. Legionnaire Games is a good choice! I’m loving their With Sword And Shield rule set. This is great to see – it’s finally coming together! What size fleet are the rules going to target? Is the “fleet deal” more or less what you’d want in the long term or more of just the core of a fleet?